Hot on the heels of its complete English translation of Princess Minerva last year, Dynamic Designs is back with a new translation release for yet another Japan only Super Famicom JRPG; Shin Seikoku: La Wares now joins the ever growing list of Super Famicom games that is now accessible to any English fluent retro enthusiast. In this 1995 J-Force-developed, Yukata-published RPG you get a fairly unique mix of medieval fantasy combined with mecha armour. The game is an official adaptation of popular Japanese pen and paper RPG brand Wares Blade, featuring Golems (mechs) from an ancient civilization that can only be piloted by certain people and shape the entire concept of civilization and warfare. The combat takes place in a Dragon Quest/Phantasy Star first-person viewpoint, but it's divided into classic party combat in the dungeons and Golem combat in boss fights and over-world encounters. The game kicks off with an introduction to the current state of the realm, a plot by a shady bunch to revive one of the eight sacred Golems and the unlikely pair of main protagonists: The young bandit Chiffon and tomboy princess Michelda. You can sample the new English translation in the prologue below. If the characters and box artwork style look familiar, you are probably a Sailor Moon fan. No, those designs are not just inspired by Kazuko Tadano, those are her actual creations! She was part of the team working in the game and these certainly translate her style very well. If you happen to have the original Super Famicom cartridge around, you can use the translation patch along with your RetroN 5 or Retro Freak clone console. 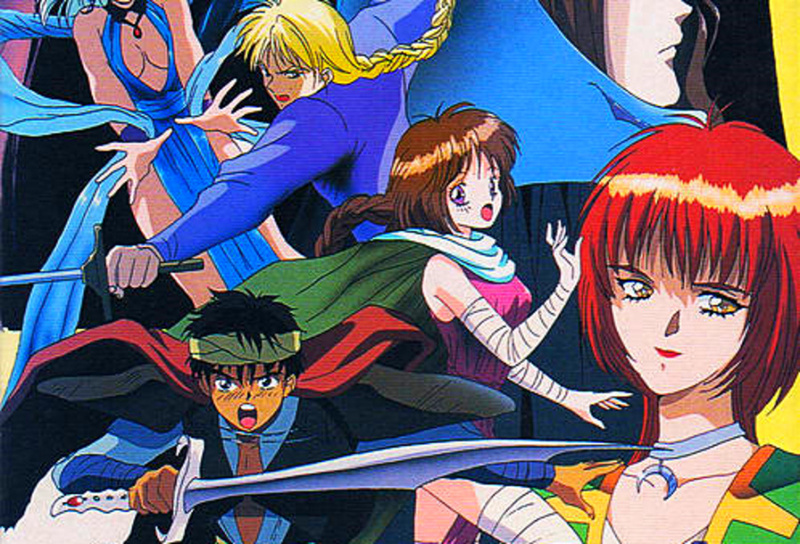 Was La Wares one of the many JRPGs that caught your eye back in the day? Will you give this game a spin now that the English translation joins up with the original Romanian translation was released back in 2015? Or perhaps you prefer something a little more recent like the (surprisingly similar) Lost Sphear? Polish those Golems and drop us a comment below. Woah, that 4th wall being shattered in the opening character sequence.